Get rank. Get found. Get customers. Search engine marketing is about getting your business found via search engines. We use a mix of traffic acquisition strategies to drive the right visitors to your site. 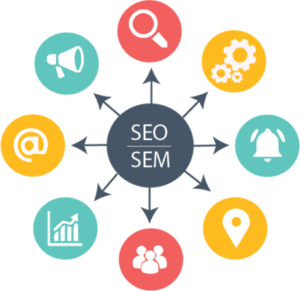 Tjabo uses paid SEM in conjunction with organic search and marketing efforts to achieve synergistic effects across channels and accelerate your business’ growth. We’ve been doing it in one of the toughest markets in the world for two decades, and now we’d love to do it for you. Use pay per click services like AdWords to give you control over keywords, audience and budget. Appear in search results immediately and sculpt the right traffic for your business right from day one. Get your ads seen on some of the world’s most visited websites. Achieve positive brand association and build a bigger audience, while targeting the right demographics, geographic locations and market for your business. Show highly-targeted ads to people who have already visited your site. Build lead nurturing processes that encourage repeat visits, engagement and purchase/signup. Get 92% reach across millions of websites, videos and devices. Every ad campaign needs a landing page. Landing pages need to be carefully matched to the ads, traffic and strategic purpose they serve, making sure promises, copy and keywords sync up across each stage of the buyer journey. 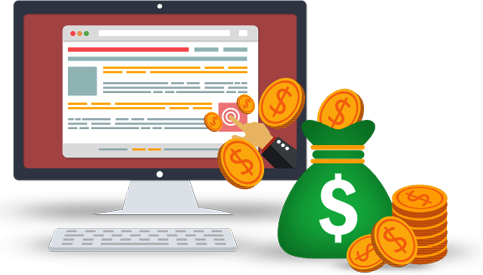 Our high converting landing pages will make the most of the traffic your paid search marketing generates. That’s why we track everything. Every click, every ad, every landing page. So we can show how much you’re getting back for your marketing spend, and help you make the right decisions to maximise results and profits for your business.